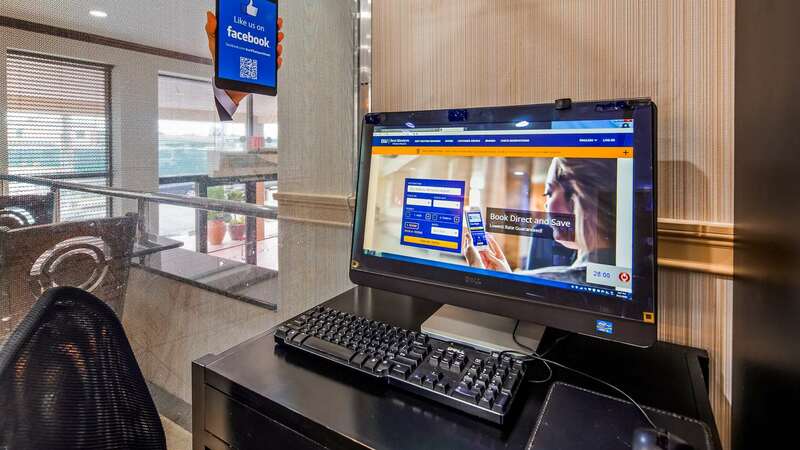 Print out your boarding pass or look up directions to a local restaurant. 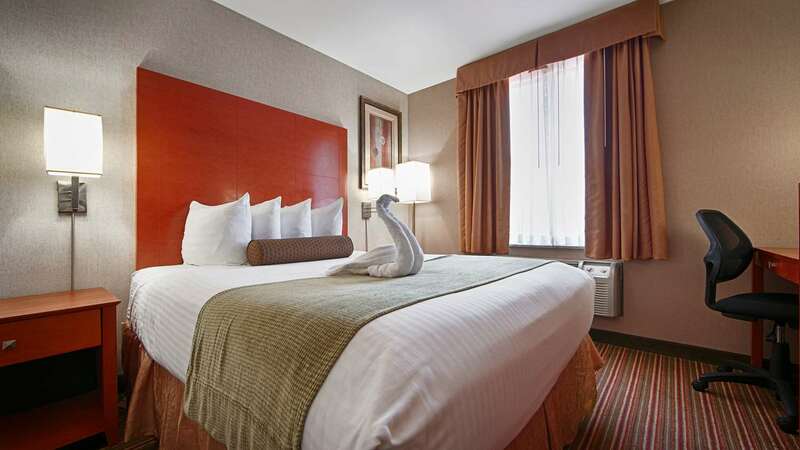 Return to your comfortable king guest room and relax. 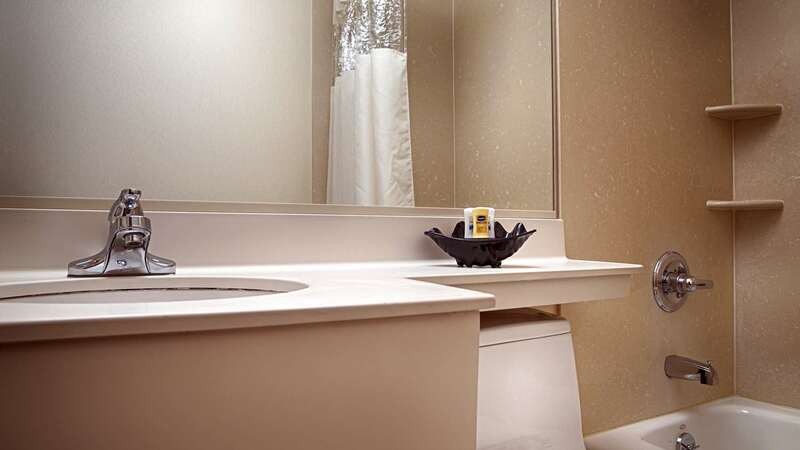 Comfort and solitude awaits you in our queen guest room. 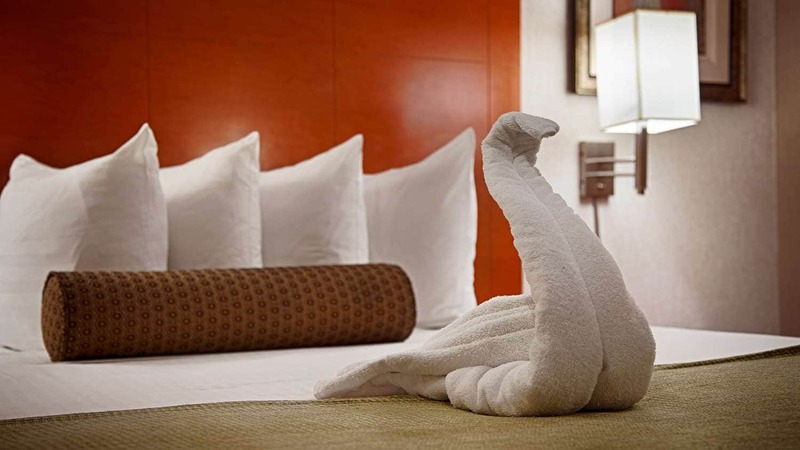 Bring your whole family along and book a two double bed guest room. 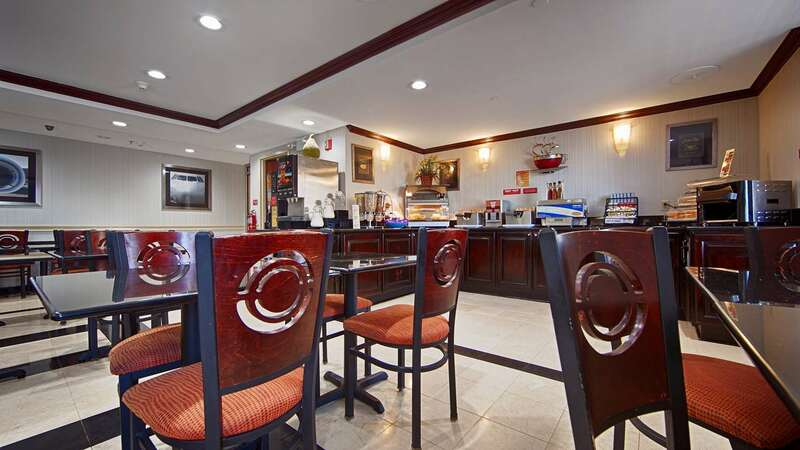 Enjoy a complimentary hot breakfast served daily. 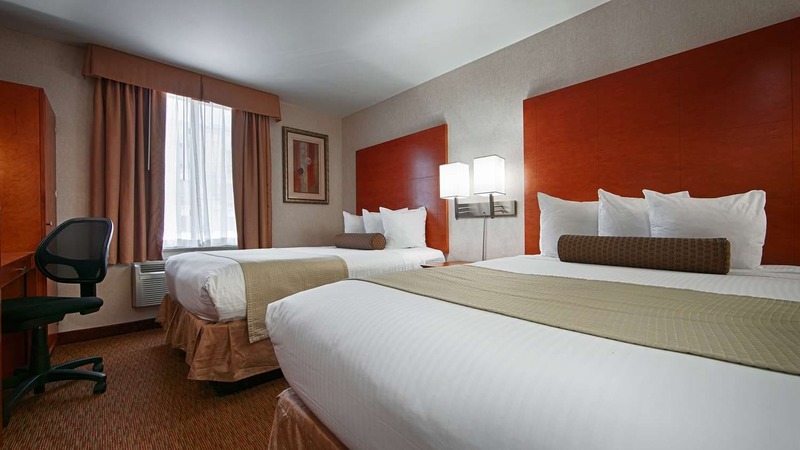 Our award winning JFK Airport hotel offers luxurious, clean accommodations and exceptional service. 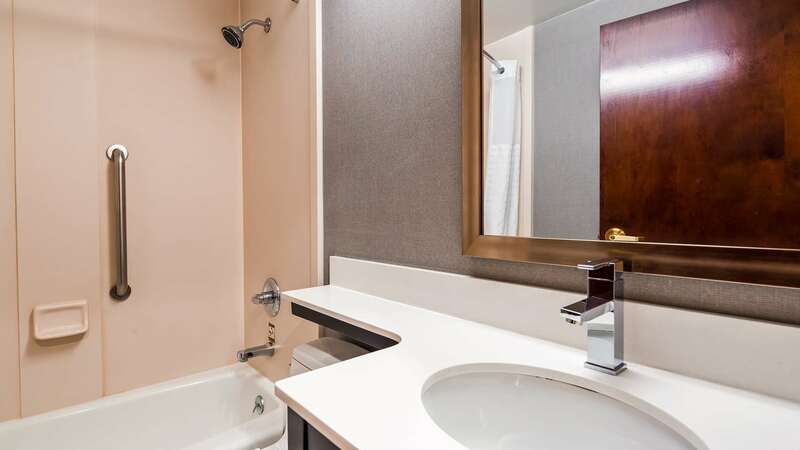 This JFK Airport hotel is just minutes away from John F Kennedy International Airport and the newly opened World Resort Casino. 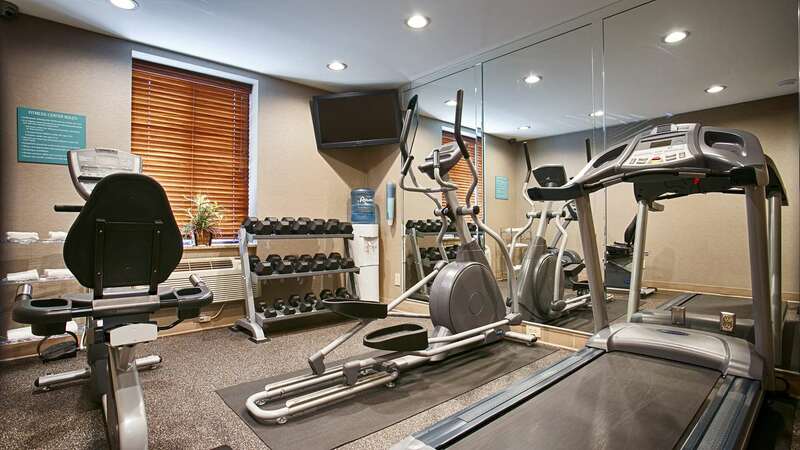 Located in Queens we are also near Yankee Stadium, Citi Field Stadium, Manhattan and Brooklyn. 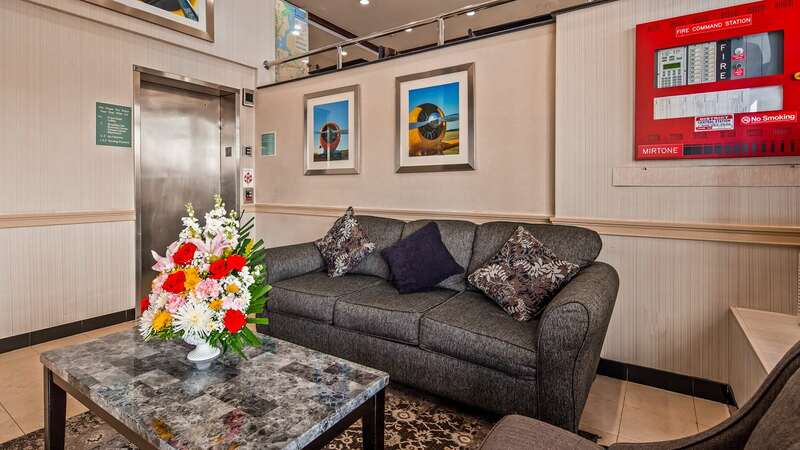 This affordable Jamaica, NY Airport hotel offers free 24-hour airport shuttle to and from JFK making traveling much easier and convenient. 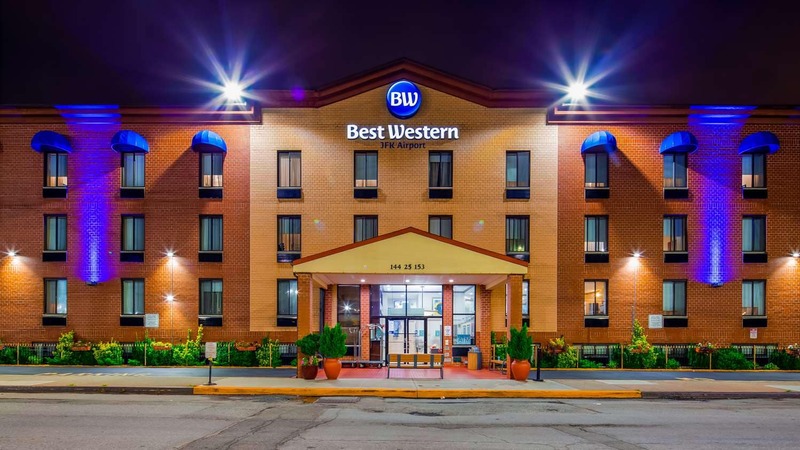 JFK shuttle pick up available take Air Train to JFK Federal Circle Station C, courtesy phone for Best Western located at each terminal. Airport Shuttle from Hotel heads directly to Airline Terminal for drop-offs, check with hotel for scheduled pick up and drop off. Shuttle drop offs back to JFK are at each individual departure terminal. 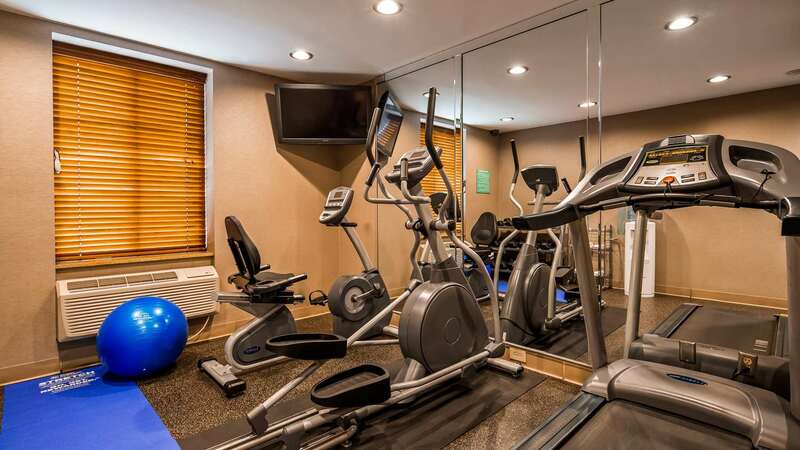 New York's La Guardia International Airport is also just nine miles away. 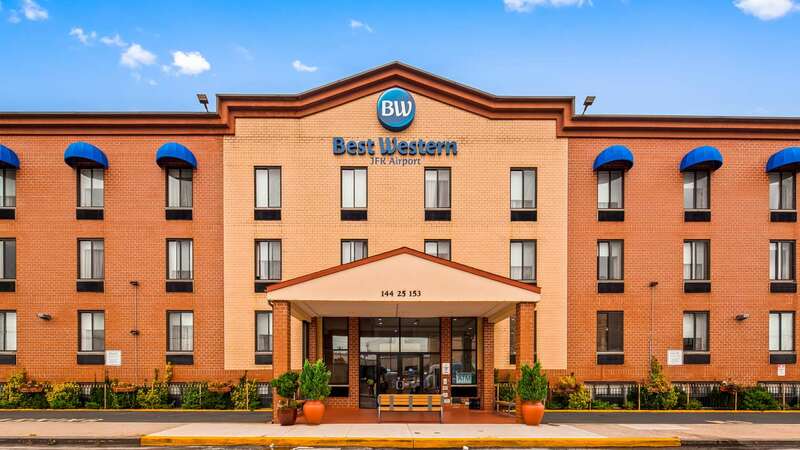 The Best Western JFK Airport Hotel is near many of the area's popular attractions - including Belmont Park Racetrack, Citi Field, Coney Island, Resorts Casino and more - providing much to do whether you're in town for a while or just dropping in for a night. 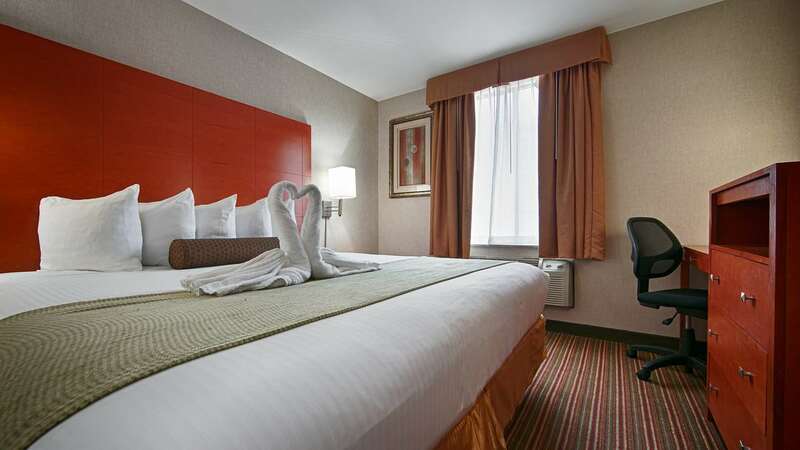 Many of the JFK International Airport hotel's guests delight in fishing, ice-skating, golf and horseback riding. Or head out to Green Acres Mall to do a little shopping. 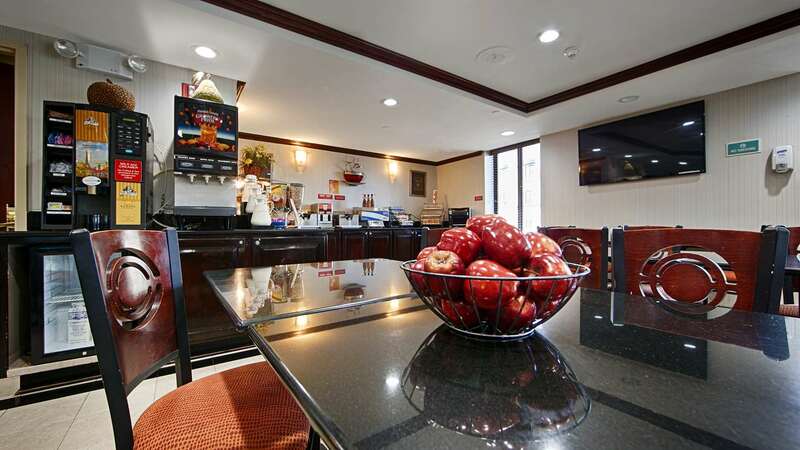 This New York hotel is also the perfect place to stay while visiting students or faculty at St. John's University. 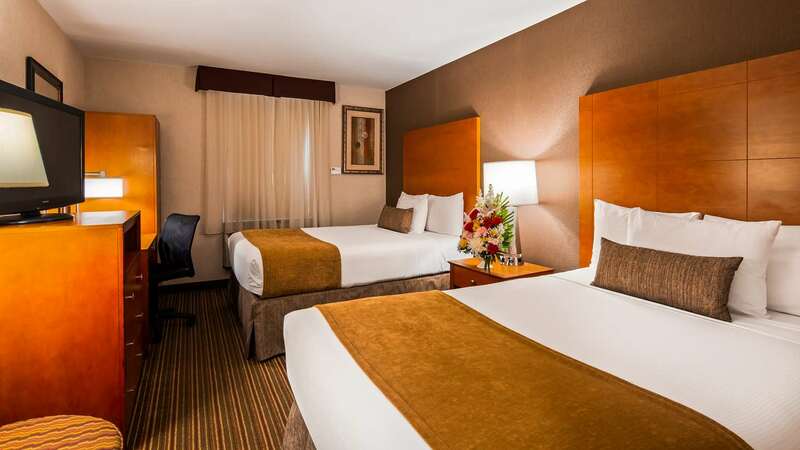 Those visiting the area on business can take advantage of easy access to many local businesses from this Jamaica, NY hotel, such as Rockwell Collins, Jamaica Hospital and AOI Logistics. 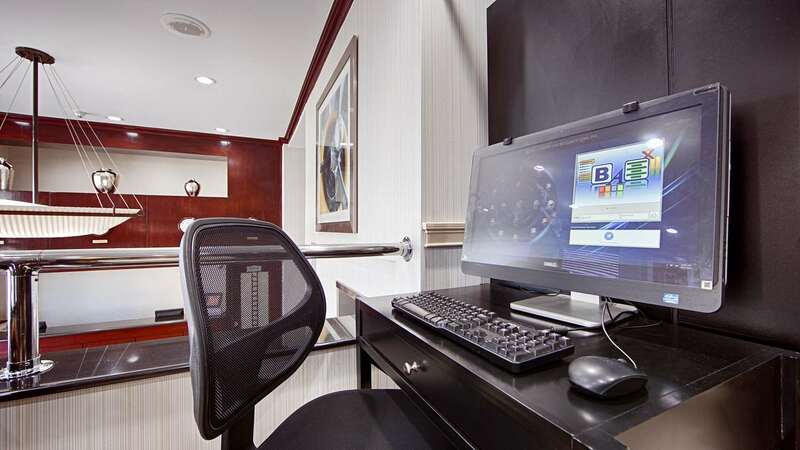 The well-appointed rooms at this New York City hotel offer free high-speed wireless Internet access, a coffee maker, a desk, cable satellite television, an in-room safe and much more. 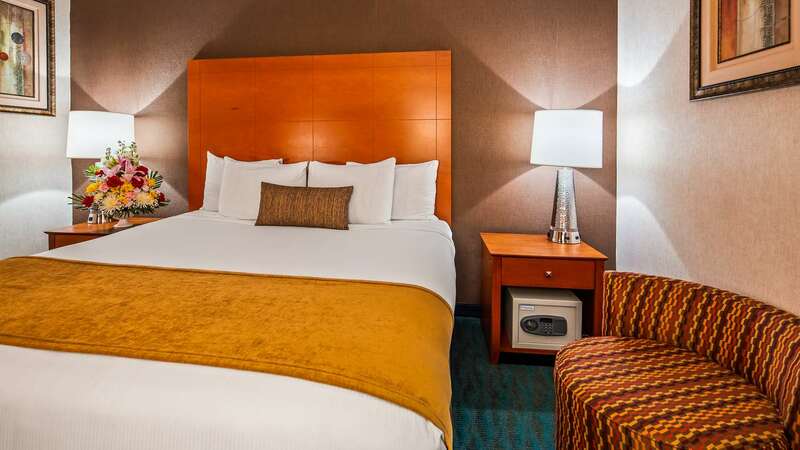 Sink into bed each night at this JFK Airport hotel and wake up to a complementary hot American breakfast including eggs, variety fresh pastries, fresh made waffles and much more. 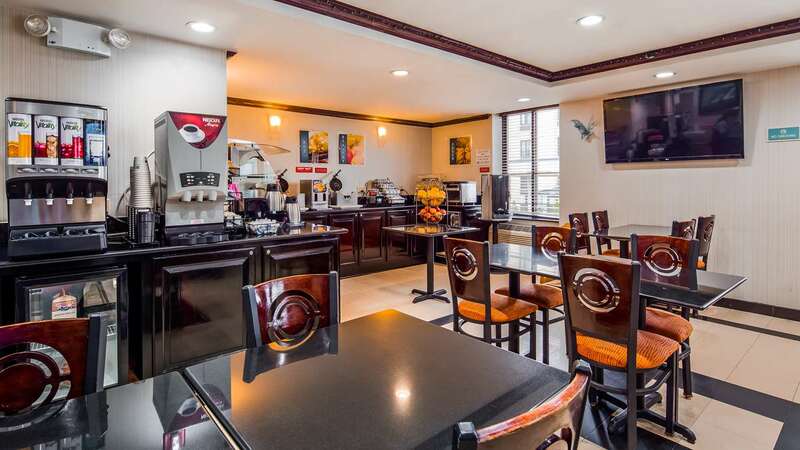 Complimentary full breakfast, Belgian waffles, Sausage, Hot eggs, Omelets, Hash browns, Assorted breakfast breads, Assorted muffins, Assorted cereals, Fruit, Yogurt, Coffee, Juices, Tea, Hot chocolate, served M-F from 5:00 a.m. to 9:00 a.m. and Sat-Sun 6:00 a.m. to 10:00 a.m.
Sleep & Fly Rate (PK) available. 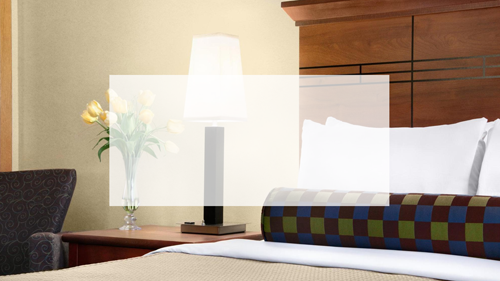 Stay 1 night & park up to 7 days! 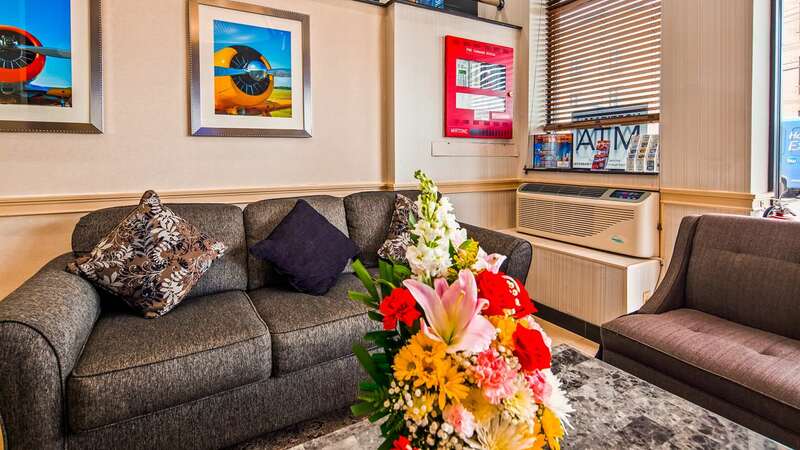 Parking is located off-site with a free shuttle available.